That’s the life priorities in my small hometown of Berwick in Northeast Pennsylvania. When alone, some locals will confide that their priorities are, on any given day, in a slightly different order. 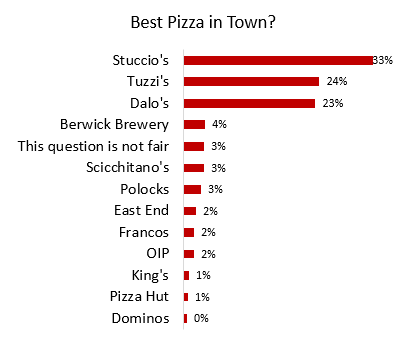 There are scores of pizzerias in the area but in a recent completely unscientific poll on Facebook of more than 600 local citizens and ex-pats, three pizza places separated to the front of pizza peloton; Stuccio’s, Tuzzi’s, and Dalo’s. Each is very different and each share some very common features. The front-runner, Stuccio’s (33% favored), is a very thin crust pizza with tons of cheese and a sweet sauce. As of this writing, Tuzzi’s and Dalo’s are in a statistical dead heat for second (24%). They too are unique to the area. ‘Old Forge’ variety served up the road outside of Scranton. Tuzzi’s and Dalo’s are excellent a day or two after served cold. Stuccio’s not so much. All three are unusual in that are served in rectangular “sheets” or “slabs” rather than the conventional “pies”. Locals are extremely loyal to one or more brands of pizza. It is not an Eagles vs. Steelers kind of thing; there is respect, and near veneration for each brand even if you are not an advocate. Folks are rabid fans with ex-pats having it delivered all over the world. To outsiders, these regional iconic delicacies are often met with a shrug. To them, they seem similar, a little weird, and occasionally not to their liking±. After all, most folks think of Pizza as something you order form Dominos or Pizza Hut, it is round, thin, and sometimes with Pepperoni on top. Those places don’t do so well in Berwick. In fact, despite the Big 3 Pizzerias doing no advertising (Stuccio’s doesn’t even have a website) they absolutely trounce powerful national brands such as Pizza Hut and Dominos for preference by locals (80% vs. 1.2%). So why are the locals so fanatical? Why do national brands get annihilated? Sure, the local pizza is good. But there is something more. Recently I have been seeing many charts in CX presentations where the speaker talks about product experience or user experience or service experience. They delineate amongst those disciplines as if customers do the same. This view may have unintended consequences, as customers do not think in terms of partitioned off pieces of the experience, but as a whole. In some cases, the presenter then goes on and says something like, “these need to be connected together to create an omnichannel experience.” Yup. Still others will say “there needs to be a unifying vision that connects everything.” Again, spot on. But there is something beyond good governance, vision, and effective cross-functional collaboration that can deliver true enduring brand loyalty. But what are they? I think we can again, of course, look to pizza for answers. In Berwick, the iconic halls of mozzarella and tomato sauce have been frequented by folks for generations1. 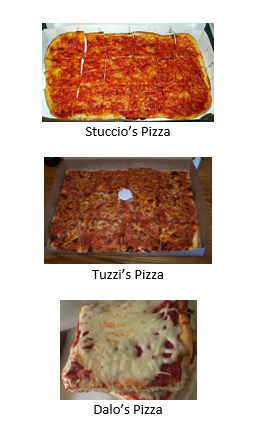 Stuccios, Tuzzi’s and Dalo’s have been operating in Berwick for a nearly a century or longer2. As such, each pizzeria became deeply connected to the social fabric of the town. People eat local pizza for every day occasions such as lunch and dinner, but it is also to celebrate a special event or as a treat. People remember eating it at birthday parties, the big high school rivalry football game, Christmas Eve, as a reward for the struggling student’s improved report card, or before homecoming. It is a reward for folks who have had a particularly bad day at a, particularly hard job. And yes, you can even find these square treats at weddings and wakes. While the local pizza is delicious, they are not just selling pizza. They are selling home. They are selling a sense of identity and pride. Pizza is a common ground that you can argue without about without hard feelings. In fact, they aren’t ‘selling’ anything as it is part of the culture. In their own small-town way, the Berwick pizza syndicate represents extremely powerful brands; certainly, more recognized locally than disruptive brands such as Uber, Airbnb, and Spotify combined. What lessons are there in Berwick Pizza for creating a powerful brand? First, in the forty odd years I have been noshing on my local pizza (I am a fan of Stuccios and Tuzzi’s for the record) and washing it down with a refreshing Yuengling beer, it has not changed. Not. One. Bit. We don’t like our traditions messed with. Coke learned this the hard way with “New Coke” which was a foible lauded as marketing genius. There was a near riot when Twinkies were supposed to go out of business. There was mass protest and a run on grocery stores when Siracha was going to shut its door due to neighbors in Irwindale complaining about the smell. General Mills did a quick course correction turning Trix cereal back to its original neon colors after trying purge non-natural ingredients for its product line up due to the demands of loyalists. In psychology this is called ‘Reactance’; people just don’t like their freedoms institutions messed with and will act out in response. While brands have to evolve, sometimes you just let something good…be good. So often we think we need to “disrupt” an industry to be a memorable brand. It’s not true. You can be memorable by delivering a consistently excellent, but unique, offering in the marketplace. There is magic in being manically consistent. As I have written before, there is a vast amount of research that we, as species, HATE uncertainty. It is the definition of fear; the unknown. It is better to be consistently bad than great one day and horrible the next. Be consistent in what you are delivering. The only time inconsistency is good is when you deliver it consistently. For example, a scary movie, a haunted house, sky diving…you don’t know what to expect. But you expect that. You don’t have to be a giant brand to be consistent. In fact, the smaller you are the easier it is. The first thing to do is to document your processes. The second is to ensure you are doing it consistently. Ideally, these processes are customer-first following what the customer wants versus what is easiest for you as an organization. Second, these pizzerias know their customers’ preferences and keep it simple. Each of these shops knows their customers, and their parents, grandparents, and sometimes their great-grandparents. It is generational customer intimacy and resultant loyalty. Venerable brands such as the Ford F-150 and Ram and Chevy Trucks have long used this to their advantage and achieve repurchase loyalty rates above 70% … consistently. Remember to start with the customer first. Human-centered design is a central tenet of design thinking which I think is the absolute right way to solve problems and innovate. However, make sure, you are not accidentally re-siloing on the basis of the experience by dividing it up into pieces again; this time based on the journey rather than by functional areas. Connect yourself to the community and your customers. This involves what design thinking folks call empathy. While as species we are pre-wired to naturally sort people into categories, strive to take an “us” perspective vs. a “them” perspective, despite having the psychological deck stacked against you. Be part of the community you serve not an outsider. As a medium or large business, the lesson here is twofold; resist hubris and really understand your customer. Warren Buffet once said, ““In the world of business, the people who are most successful are those who are doing what they love.” Don’t invest yourself in enterprises that you don’t personally believe in. Also, make sure you are truly trying to understand your customers by not only relying on quantitative methods. Get out and talk with people. Really try to understand them and most of all respect them. Find ways to embed yourself as part of day-to-day experiences people have in life. Connect the experiences you create to events and occasions. Coke figured out how to sell millions of bottles in India, by repositioning their product as a ‘special occasion’ drink. It sounds cliché’ but great experiences do create memories…big and small. Finally, make your brand a habit. Facebook has been incredibly successful in having millions of users consult their application as their first task of the morning. Amazon’s Alexa is in the habit business, with people depending on it for news and weather while they go about preparing meals. Make the experience you provide a habit; if not a necessity. Through journey mapping and ethnography figure out where you might fit into the day-to-day life of your customers and potential customers. Understand what they like and don’t like about the experience you provide. Understand where you can make yourself indispensable… or at least welcome. Ideally this is done before you start down the product development path in the first place. As for me, I have to watch my pizza consumption nowadays. It is delicious, but not particularly healthy for you. That said, I do make an exception to call in my order early, stop in and pay my $7.75 in cash for a half sheet (they don’t take other forms of payment) and sit down with my parents to enjoy the pizza. And the memories. 2. Dalo’s was founded in 1910, Tuzzi’s in 1919, and Stuccio’s in 1948. 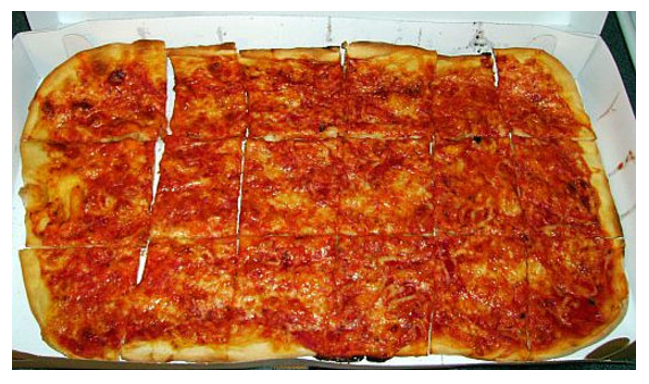 As a fellow Berwickian and pizza connoisseur, I loved every word of this article. Hi Dave: good article. Your recommendation for companies to make their brand a habit is important. 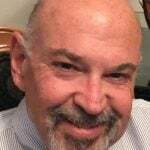 When customers buy something reflexively, the vendor has achieved a marketing holy grail. Oddly, those same companies often harm themselves by subsequently encouraging customers to stop and think. They upgrade and change their offering, and tout ‘new and improved!’ to their customers. 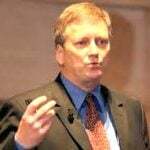 Or worse, they believe that ‘transformational change’ is a strategic imperative, and that their customers will embrace the transformation. Both can stop habitual buyers cold in their tracks. When implementing product changes, companies that have habitual buyers should ask themselves, ‘will this improvement or change cause our customers to stop and consider their purchase?’ If the answer is ‘yes,’ then it’s important to understand the revenue consequence. Yes, you don’t want to snap people out of the habitual (nominal) decision making. I think software companies suffer from this. I get you have to upgrade, but the perpetual upgrading I think irritates people…especially big changes. while i am strong believer in innovation, sometimes you shouldn’t fix whats not broken…especially stuff connected to self-identify. Thanks for reading and your comments Andrew! Really good point, Andy and Dave. I can think of a few examples where a change (upgrade, price change) stimulated my search for “something better.” One tool I’ve been using for years is not optimal, but it works and is low cost. If they raised the price even slightly I might look elsewhere. It’s tricky, though. How does a company keep things the same and avoid the problem of some failed brands that didn’t modernize and lost a new generation of customers? Example: Starbucks appears to be adapting to expectations of millennials (mobile orders, pick up in store), but it’s possible this is off-putting to some traditionalists. I think with small businesses it’s easier to establish a community relationship that transcend the product/service. Bob, funny you should bring that up. It’s the same problem that many companies have of; how do you innovate but still remain the same. In most cases the answer is; you can’t. Who the company is, what they do, and how they do it are super glued together with culture. IMO the best way for big companies to innovate is to split a piece if off and then let it alone. For example, Allstate spinning of Esurance to let it do its thing. Interesting that when companies do that, those spin offs perform very well. When they don’t, they die under the weight of the corporation. Remember Saturn, GEO, or Scion? All good brands that couldn’t escape the shadow of their parents. https://www.forbes.com/sites/joecornell/2018/04/04/spin-offs-can-spawn-great-investments/#2c861c935b1e. Yeah, the corporate “antibodies” often kill new ideas. Still, some brands manage to evolve to serve new markets and customers. Is Starbucks one, or are they just innovating around the edges of the “third place” brand promise? Loved your insight, Dave, and I think big companies always underestimate the power of the emotional bond when I support people in my local community rather than the anonymous businesses with a head office in another city or another country. It just emphasises the sense of alienation from the corporation.